If you ask any parent one thing that’s in limited supply in their home time (or money!) is usually at the top of their list. Parents in general stay busy. Parents raising children born with Down syndrome (or any special need) often have an even busier schedule. 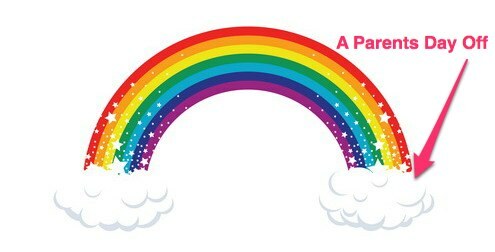 Being the father of a 14 month old with Down syndrome myself, I know that just having a day off from the various physical, occupational, and speech therapy appointments can seem like a pot of gold at the end of a seemingly never-ending developmental rainbow some weeks. Perhaps that’s why I can relate so well to Michael Kelley‘s new book, Wednesdays were Pretty Normal: A Boy, Cancer, And God. I won’t spoil the ending for you, but this is a book you will want to read. If you’ve ever had your world turned upside down in the blink of an eye, this book will help you see how to walk through it with faith and hope. If you’re a Christian and have ever wrestled with how to balance the promises of God with the uncertainties of life, Wednesdays Were Pretty Normal will help you see how it’s possible. And the author doesn’t do this just by quoting a bunch of old “Christian” clichés we’ve all heard a million times, choosing instead to invite you into his families personal journey with the same fears and struggles. It other words, real talk! Now that’s what I’m talking about. Just Check Out These Chapters! 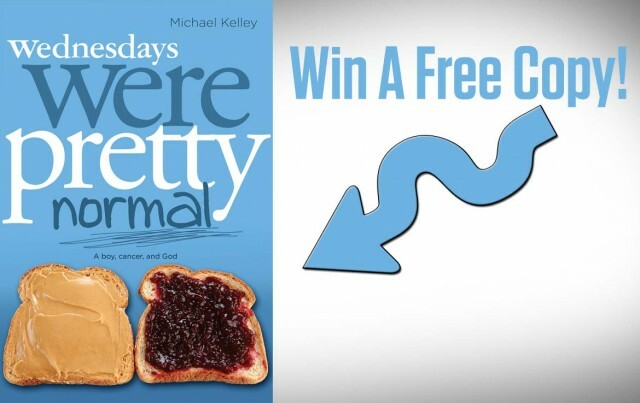 B & H Publishing Group has generously donated 5 copies of Wednesday’s Were Pretty Normal: A Boy, cancer, and God to give away to readers of NoahsDad.com! Very cool of them, and very cool for you as well! You have 3 chances to win your very own copy of this book for free (shipping included!) There are three ways you can win, and you can choose to do 1, 2, or all 3 of the options listed below. Even cooler; the more ways you enter, the better your chance of winning! Enter your email in the box below to sign up to receive our daily one minute video about raising a child with Down syndrome by email. It’s quick, easy, and an email you’ll actually enjoy seeing in your inbox each day! Oh, and don’t worry we’ll never spam you, and never give your email to anyone else. Pinky swear. After signing up, just leave a comment below letting me know. Done. Share this post on your Facebook page or Twitter, and encourage your friends to enter to win. Then simply write a separate comment below with the link to where you shared the post. If sharing on Twitter please use the hashtag #prettynormal. If you have no clue what a hashtag is, don’t worry, you’re not alone. I promise. 🙂 Done. Leave a separate comment below and tells us the last book you read and what you thought about it. Simple, huh? Done. I’m excited to get this book into your hands. I think you’ll be greatly encouraged by it, and I’m looking forward to hearing your thoughts on it! Good luck! Even Blogs Have To Have Fine Print, Sorry. The contest will end at midnight central time on Sunday March 18, 2012. Winners will be selected at random from the comments using random.org, and will be notified via the email address you used to leave your comment on Monday March 19, 2012. Contest is only open to winners with a mailing address in the United States. (Sorry to all of our non-U.S. readers, that’s the publishers rules. I promise to include you in future giveaways. The last book I read was Haven is for real, I thought it was an amazing book and it was from the views of a child! The last book I read was “notes left behind” by Brooke and Keith Desserich. It was a very touching and moving book. Would love to read this book! Last book I read that I absolutely love (and HIGHLY RECOMMEND) is “Same Lake, Different Boat” by Stephanie Hubach. We have a almost nine month old with Down Syndrome and this book was amazing for us! I am disappointed about not being able to get the book because I live in Canada; I did read a bit about the book and know very well how this family coped with the cancer . I lost an 8 year old son years ago (1981) to cancer, and I still remember it as though it just happened yesterday, my son lived 11 months with the disease, and in the end lost the battle, if I could have traded places with him I would have, but unfortunately life doesn’t work that way. I grew up in a christian home, but when this vicious disease hit our son, I actually turned away from God and questioned him as to why does this happen to children. I did make sure my son was in touch with God before he passed away, but I had a hard time with it for years, I am now okay with it and have changed my thoughts. would love to get the book read and lend to friends! Last book I read: I’m currently reading Generation iY by Tim Elmore. Great book about understanding the newest generation of youth. Of course, I’m not too far away from that generation myself, so it’s not really eye-opening as far as their attitudes and habits (because I have many of them myself), but it is eye-opening as far as how those attitudes and habits can mean a very bad future for our society, and it suggests what to do about that. Oh, and The Magician’s Nephew, we just finished with the boys (from Chronicles of Narnia). It was a big hit. I have actually read 3 really good book, in the last 5 mos. They are called Gifts, Gifts 2 and Chicken soup for the special needs soul. All 3 of these books are very good.. The book Gifts and Gifts 2 is ALL about Down Syndrome. Personal experience and loving stories of family with love ones who have Down Syndrome. The book Chicken Soup for the Special Needs Soul is all about personal experience and loving stories about all different types of Spiecial Needs.. All 3 books are a very good read.. Just make sure you have a tissue in your hand when you read them..
…. And I’m currently reading the love and logic collection, including love and logic for special needs children. Well it’s not that LAST book I read because Im actually in the middle of 3. The Blessings of Brokenness”, it will change your life and forever change your perspective on “difficult seasons” “Wrestling with an Angle”, just started it 😉 and “Dream Big: the Henrietta Mears Story”, Amazing biography about a women who left a legacy of living out the Word. Really want to read the book! I just finished reading “The Vow” last week, after seeing the movie the week before. When I watched the film, I felt like there had to be more to the story…because in America today, unfortunately we don’t see marriages worked for that hard during trials that extreme. I was anxious to read the truth and was not surprised to see God’s hand throughout the entire story and Christ at the center being the piece that held them together. Great testimony of the hope we can have in Christ during trial, suffering, and extreme hardship! Entry #2 done! I shared this on my facebook page! Heaven’s For Real was the last book I read while James was in the NICU. I loved it so much I bought the kids version for my kids! Entry #3 done! https://twitter.com/#!/david_p_taylor I may know how to hashtag but I couldn’t shorten the link! The last book I read leisurely was For the City by Darrin Patrick! It was a great book! The last book I read for my Seminary classes was Humility by C.J. Mahaney which was also a great book! Entry option #1- I just signed up! Entry option #3- The last book I read was Rules of Inheritance by Claire Bidwell Smith. It’s a memoir about her journey through grief after losing both of her parents to cancer. It is a wonderful book. I felt such a connection to the author. I also recently finished Heaven is for Real. I was really touched by the child’s-eye view. As the mother of a little girl diagnosed with cancer at age 2 as well, I really look forward to reading this book, whether I win it or have to buy it! I posted to twitter @meatlessmama:twitter As a mom of a childhood cancer survivor, I would love to read this book! Reading THE CIRCLE MAKER by Mark Batterson…it will change your prayer life! I just signed up to receive your videos. Last book I read was Mountain Rain, a biography of J.O. Fraser (missionary to China). A rare gem. Written (very well) by his daughter, Eileen Fraser Crossman, who studied under C.S. Lewis at Oxford. I’ve read it 6 or 7 times now. Unorthodox was the last book I read. It was about people in the Orthodox Jewish community that leave the faith and how they handle it. Loved it! The last book I read was The Memory Keeper’s Daughter and It is an incredibly good book. The Lifetime movie was great, but the book is so much better. I have just finished reading Tuesdays with Morrie! Great Great book!! I signed up for daily e mails AND shared this page on my facebook!! The last book I read was “FINE MOTOR SKILLS FOR CHILDREN WITH DOWN SYNDROME” it was an amazing and very helpful book which I strongly suggest to anyone with a child with down syndrome!! I signed up for daily emails. The last book I read was ‘Expecting Adam’ by Martha Beck – it was amazingly moving, and I can’t wait to have the time to read it again! Hi, I signed up to receive the e-mails. Please enter mein the give-away. Thanks! My last book was the short second life of bree tanner. The last book I read was Heaven is for Real. I was very inspired and touched by it. The author was very honest about his own questions to God about his sons’ gift of telling about what heaven is really like. It is very heartwarming. Tried to signup for email, but already signed up. The last book that I read is “The Way of Cain: The Creation of Man’s Religion” by Gary Paul Miller. It is riveting, so eye-opening about how we are either following Cain (the first ever Pharisee) or following Abel (God’s first prophet). Just shared your link on Facebook. Good luck with the contest everyone and thanks for the opportunity Noah’s Dad! The last book I read was Blue Sky July by Nia Wyn. I recently found your site randomly and can relate to everything down to the way we were treated and told the shocking news that our son was born with down syndrome reading ur story brought me right back to the day in the hospital when they would not bring my son to our room and were figuring oit how to tell us, there was a lot of im sorrys and wispering from the doctors and nurses. Today jake is a happy 4 year old and I couldnt imagine life with out him… I encourage u to read this book, it is writen in short pasages she is a journalist and decribes the birth of hwr son with sever cp, she describes perfectly how life can change in the blink of an eye and her journey. I think u would enjoy this book and relate to every last page. I love recieving ur emails every day they make me smile and I look foreward to getting them each day! Just signed up for the email. last book I read was “Sensational Kids” It’s very interesting and helpful as I try to understand sensory processing problems. I just subscribed! Sounds like a great book. Heaven is for real by Todd Burpo. Amazing book about a boy’s account with his time in heaven during his hospitalization. I loved this book so much. When I gave birth to our son Oliver who has down syndrome I actually went into cardiac arrest and coded on the table. I saw the bright light, and heard my own voice saying “I have to go with him.” We knew Oliver had a heart condition before he was born, so when I came too I thought something had happened to my little Angel. So this book just enforced my beliefs and helped me know I wasn’t crazy and I didn’t imagine all that. The boy in the book went much further then I did, this family has amazing strength and is just a great book. The last book I read was for pleasure…The Reliable Wife…it had NOTHING to do with my kids, my works or my home, it was PURE pleasure for me for a change..:) The basic idea of the book was great, however it had TOO much “behind closed doors” discussion for my taste. Since it was a new author for me I will be checking out more from him, but only 1 more if it has the same undertones. http://www.facebook.com/profile.php?id=1281527080. I’m not sure if you’ll be able to see it because of my privacy settings, but please feel free to “friend” me! The last book I read was a children’s book called “What’s the Most Beautiful Thing You Know About Horses” by Richard Van Camp. I’m an elementary education student teacher and I’m using this book for a tutoring lesson with a 4th grade girl who loves horses. This book has really fun illustrations by George Littlechild and I will think will really appeal to a little girl who is passionate about horses. The last “grown up” book I read was “Room” by Emma Donoghue. What I really liked about this book was that I was written from the point of view of a 5 year old boy. He and his mother live in a shed, which they refer to as “Room” in the backyard of the man who kidnapped her and he has never known anything outside of Room. It was so interesting and heartbreaking to be brought into their world and experience through the eyes of a little boy. I signed up for the video emails! Last book I read was Chicken Soup for the Soul: Children with Special Needs. I highly recommend! Very inspirational! The last book I read actually just finished was “The Memory Keepers Daughter”. A book about a man with a down syndrome daughter in the 60’s. A must read I loved it. It’s also a movie. reading gifts now. Gives me happpy feeling saw another post chicken soup for the special needs soul may have to pick that up. Hi! I recently came across your blog, and love it. My husband and I recently adopted two girls with DS. I just subscribed to your daily video post. This is very encouraging. Parents, if you would like to know what it was like 50 years ago when my Billy was born, check out http://www.grownmannow.com. We had no services and had to seek and create positive experiences for him. I do want you to know that as a 56 year old adult, Billy is still the center of our lives, a contributing member of our community and a credit to his family. The last book I read was and is the first in the Narnia series. It is dufferent. i read most whatever I can get my hands on. I used to read a loy more books such as this one when i was younger. The last book I read was On Little Wings by Regina Sirois! I really enjoyed it! I just finished reading the book by Mary Beth Chapman, Choosing to SEE. Amazing book of faith and healing. Did entry option #1. Would love to read the book! The book I’m reading now is The Guide to Good Health for teens & Adults with Down Syndrome By Brian Chicoine, M.D. & Dennis McGuire,Ph.D. Both of these doctors run the Adult Down Syndrome Center of LutheranGeneral Hospital in suburban Chicago in Illinois. Entry option #3 done. Last book I read –> Redeeming Love by Francine Rivers. A wonderful story of forgiveness! I so much enjoy reading about Noah who I think is just simply an amazing young man. God bless him!! Hey Rick and Abby- Can I use a pic of Noah for a post I am doing featuring the beautiful faces of those with Ds for WDSD? My blog is http://www.shannonblaeske.blogspot.com. I have Fiona, who is 19months and has Ds. If you could email your fav pic I would so appreciate it! Sorry I know this has nothing to do with your post, but I couldn’t send a private message, it kept failing. The last book I read was “Kisses From Katie” by Katie Davis. I liked it because it is a very real book and a very radical book, but Katie is just an ordinary girl whom God is using in extraordinary ways because she said Yes to Him. Lasr book I read was marked:house of night book number 1 out of 7. It had me hooked by the first chapter. I have so enjoyed watching Noah grow daily thru your 1 min. daily films & FB. Thank you for sharing Noah w/all of us daily. He always puts a smile on my face. I can’t remember the last book I finished reading, so many on my kindle. In the instant queue is Into the Deep, by Robert Rogers, I heard him speak, and my 12 year old has already finished the book. I completed entry option 1. I have a younger brother with down syndrome. He just turned 50 in Feb. I was 7 when he was born so I know what it’s like growing up with a down syndrome child. It was awesome! I wouldn’t change any of it for a second! The last book I read was The Boy Who Came Back From Heaven. It was an excellent book. I’m sure Wednesdays Were Pretty Normal: A Boy Cancer and God will be excellent also. I am rereading Down Syndrome Parenting 101. Love the anecdotes! The last book I read was Little Women. I read it out loud to my 9-year-old daughter, and we both loved it! I have a sister whose 2-year-old has Down Syndrome. I have a daughter with autism. We specialize in “special” around here! I am still reading The Boy in the Moon. By Ian Brown . I shared on Facebook and Twitter! One of the last books I have read is Finding Peace by Charles Stanley. Excellent! the last book i read was. the lost child.. it’s a nice sad book. and it was based on a true story of a boy. The last book I read was Expecting Adam. It was by a mother who was expecting a child with Down Syndrome. I thought it was okay- I’m a little young (22) so it was hard for me to empathize with the woman being pregnant. I’m glad I read it though as it gave me a unique peek in to what mothers carrying children with special needs mentally and physically experience. Hard perspective to gain as a special education teacher! I’ve entered using option 1. Thanks for the chance! For entry using option 3…the last book I read was “Get Out of That Pit” by Beth Moore. Straight Talk about God’s Deliverance. This was a book I should have read a long time ago. I’m tired of being a Pit Dweller! This book explains different reasons we can find ourselves dwelling in pits and tells how the Lord can deliver us and give us freedom. The last book I read was, “Katie Woo Has the Flu”, I read it to my daughter, Katie. We loved it! I am trying to convince Katie that she CAN read it to me! Katie is nine and happens to have DS. She is a great reader, but prefers that I read to her! I am bummed I missed the deadline for the drawing, but I am signing up for the email anyway. 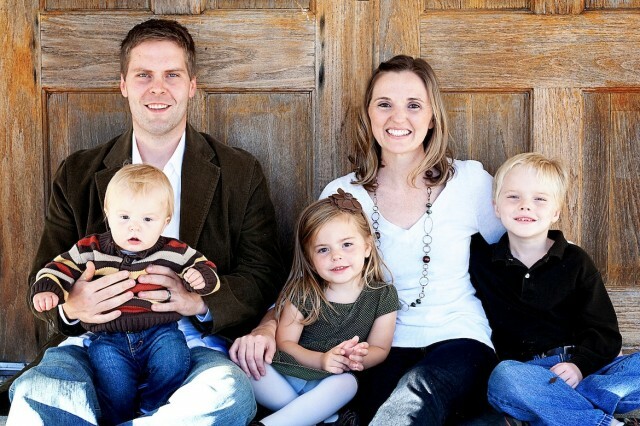 I have a young friend, a young mom, who’s son has been diagnosed with a terminal illness. They believe it is some form of SMA, or some other muscle disease, but equally terminal. You know the drill….already thousands of dollars in debt, mad at God, exhausted from the hospital stays, shaky marriage, etc. Trying to find ways to minister to them. The last book I read was “The Shack” but I have heard that “Wednesdays Were Pretty Normal” would be a good suggestion for this young family.